For 30 years Prism Arts has been developing and delivering arts projects which are accessible to everyone. They predominantly work creating visual arts and theatre productions with people with additional learning needs, older people and younger people. Their visual art is showcased in exhibitions in galleries and public spaces and their productions are performed in theatres, schools and community spaces. They aim to engage audiences of all ages and backgrounds and endeavour to change perceptions of work created by these often excluded groups. Prism Arts is based in Carlisle but they work throughout Cumbria. They run three weekly art programmes in Carlisle and one on the West Coast of Cumbria as well as running arts projects with organisations such as Cumbria Wildlife Trust, Tullie House Museum and Art Gallery, Cumbria Museum of Military Life and many schools throughout the county. All of the projects are run by professional artists who work in partnership with the participants, facilitating them in all aspects of the creative process from research, to creating, to exhibiting or performing. 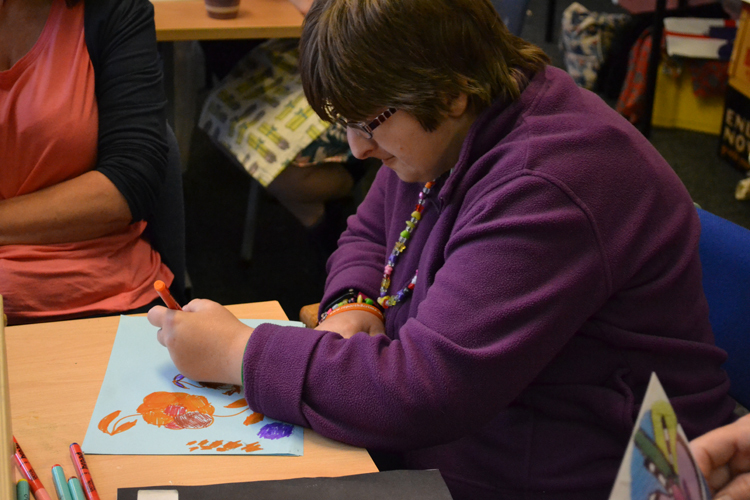 Prism Arts works hard to enable as many people as they can to engage with the arts. Last year they ran over 600 workshops which gave 2,500 individuals of all ages the opportunity to explore, develop and reveal their creative talents. The art exhibitions and theatre productions they produced over the year were enjoyed by over 200,000 people.